People often panic or get disheartened after getting an application refusal notice from the CIC. Indeed, it is distressful, but you are still left with many options to tackle this visa refusal situation. After receiving refusal notice, you can appeal at Federal Court of Canada regarding refusal of Canadian immigration application. You need to apply within a stipulated period of time. You can submit an application for visa refusal to the Immigration Adjudication Division (IAD). You can make a request for Restoration to the Case Processing Centre (CPC) after refusal notification. You can apply at the above divisions within a stipulated time, otherwise your appeal rights will terminate. You can seek assistance from reliable immigration lawyers who will help you in safeguarding your rights. What can be Your Best Option? Generally, the nature of visa application decides applicant’s alternatives. 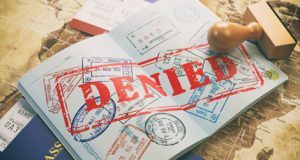 Was it a Skilled Labor Application, Sponsorship or a Business visa refusal? Was the application filed within Canada or outside Canada? All these factors are crucial while determining the options. After such a determination, the applicant can appeal, re-apply or resolve the refusal case. An expert lawyer can evaluate your application carefully and provide you with significant assistance. Canadian immigration is a lengthy and complex process. It involves numerous procedures beginning with filing the application, and ending at refusal or acceptance. Once you submit your immigration application at Canadian immigration, the officer will evaluate it following specific guidelines. You need to qualify under those guidelines defined in order to get an acceptance from the officer. The rejection also depends upon the officer. Sometimes, they are very particular about the rules, such that a small mistake can lead to rejection. Applications also get rejected when the immigration officer does not find applicant credible enough after a personal interview. Rejection reasons are numerous. Thus, you require assistance from immigration professionals who could provide you genuine guidance at the right time. Whether you are eligible to appeal before Federal Court and other divisions? What are the appeal deadlines? What significant steps you need to follow? How much time would be required for the whole process? You need to consult our certified Canada immigration lawyers in India immediately after the refusal notice. A little delay can lead to termination of your appeal rights. After evaluating your case, our lawyers would immediately start their work. We would put forward each and every point to support your case to get the best possible outcome. Call our experts to discuss the various aspects of Canada immigration laws.